I agree with you on REDC. Once I escalated to the CEO at BofA, we were moved back into Equator with an outstanding LM. 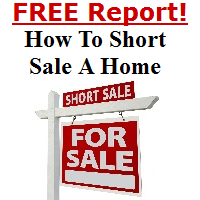 She has helped me to get the short sale approved at the offer price (even though FNMA wanted $35K more). Try escalating your files, I believe it will help you to get them unstuck. Having horrible experiences with REDC. Can anyone shed any light on how to deal with them. I have 3 files with them. They do not work through equator well, they do not respond, they are impossible to get a hold of. Had a BofA CoOp short sale that closed and title transferred Aug 2012. The Bank then foreclosed in Oct.2012 sold at the Sheriffs auction to HSBC on the Seller. Buyer is very upset. I called BofA and all they told me was to contact Select Portfolios because the loa n was transferred. BofA received and accepted the wire transfer. Any advice or someone at BofA or HSBC I can call to get resolved. When BofA notified ne on Equator the loan was transferred, title had transferred to the Purchaser. I had a similar situation happen on a BOA Coop. We are now waiting for the mortgages to be "linked" as well. They told us that there is "no timeframe" on how long that could take. This is with DTS as well. Hope the Buyer can hand in there. New situation on a BofA Pre-approved HAFA short sale. There are two loans, both BofA. Processing was begun with Dignified Transitions Solutions and HAFA sale was approved. We were told they were going to payoff the 2nd and only go short on the 1st. Offer received/accepted and uploaded into Equator. Today we are told that it is all being changed. HAFA is no longer approved and they are going to payoff the 1st and go short on the 2nd. Everything has to be closed in Equator and started over from scratch, after they "link" the 2 loans in their system. Any suggestions? I know there is a BofA twitter account that has been mentioned in previous posts. Can someone provide me with that or any other contact information you think would be helpful. Joe, thank you for your input/advice. Hopefully, I will get what I need from the negotiator so I can move forward and do all I can do to get this one done. If the loan is an FHA loan, FHA is insuring the investor. There is more than likely no PMI. Nothing is 'impossible' but it seems doubtful you could have FHA coverage and PMI on the SAME loan. Servicers/investors don't need to foreclose to make claims on insurance. With FHA insurance, there are in fact 'partial claims' paying an investor for their loss while the borrower is still living in and owning the property. APPRAISAL ISSUES? Ask for a copy of the appraisal. The borrower is entitled to that upon request. The last point is only my speculation, but at times it sure feels like the servicers don't try as hard on FHA loans. Why shouldl they work? The reimbursement is the same whether the mitigation effort is successful, or the property forecloses. Sorry - bitten by the forum again - it was showing me the comments from 8 hrs ago - so I'm out of sync..
Sharon, thanks for the update! I wondered about those auctions and expected smoke and mirrors like all the other "wonder" stuff that banks come up with.